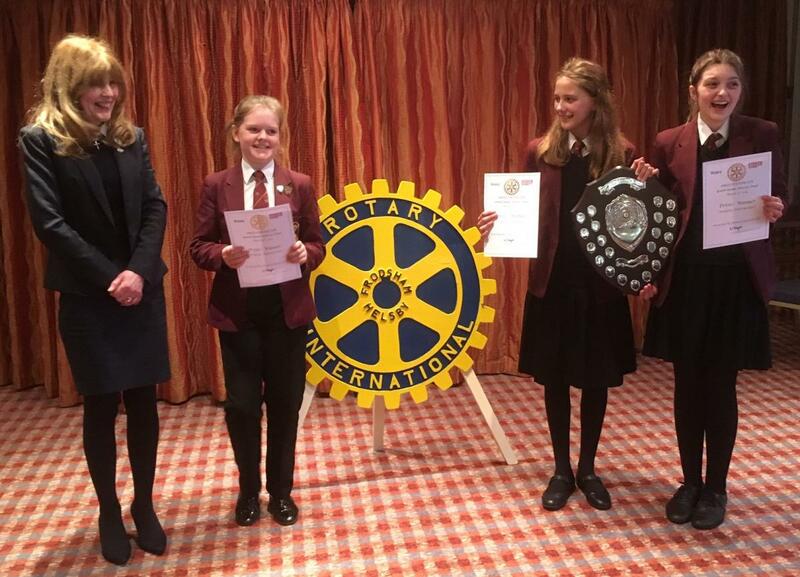 The Rotary District Intermediate Youth Speaks Final, held at the Forest Hills Hotel in Frodsham was an exciting event with fierce competition including 7 teams from Macclesfield, Bolton, Wigan, Newton and Wilmslow. 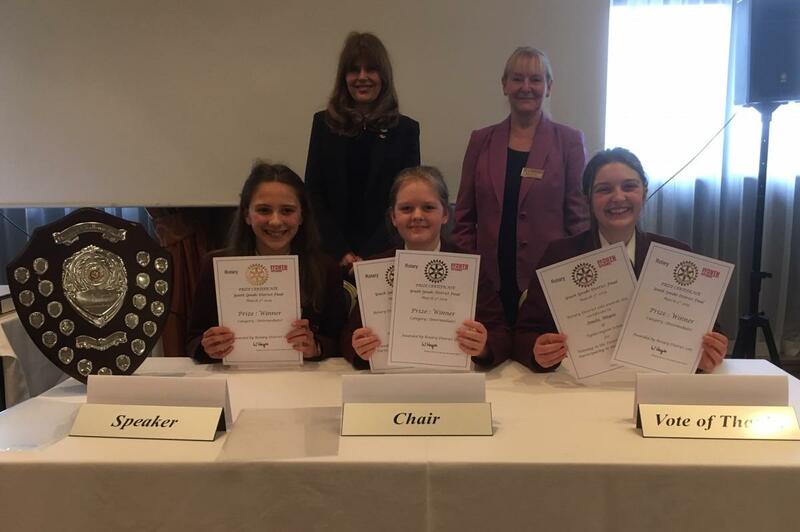 The winning team from Tytherington School, sponsored by The Rotary Club of Macclesfield Castle, chose to speak on the topic “Should 16-year Olds be Eligible for the Vote”? The team from Tytherington gave an excellent performance. The judges commented on their “enthusiasm” and how “well informed” they were. Teacher Mrs Burke said “I am absolutely delighted for the team – they were great. Anna was a most professional and polished chairperson, Esther spoke with passion and eloquence, and Amelie was a gracious and engaging vote of thanks. They certainly did themselves and Tytherington proud”. The winning team included Anna Wilkie as Chairperson, Esther Bird as Speaker and Amelie Mayou as Proposer of Vote of Thanks. Esther Bird also won the Best Individual Speaker Award. Rotarian President Carole Murphy said: “It has been an honour to sponsor this talented and dedicated team working hard with Mrs Burke to develop their presentation. We are delighted at their success as District Champions”. Headteacher, Mr E Botwe, said: "We are extremely grateful to the Rotary Club for providing such an excellent opportunity for young people to have their voices heard and an avenue for students to develop their ability to communicate. The ability to articulate and persuade are crucial skills for life. I'm expecting big things in the future from Anna, Esther and Amelie. Watch this space!"